Blogging: What is it and should you be doing it? 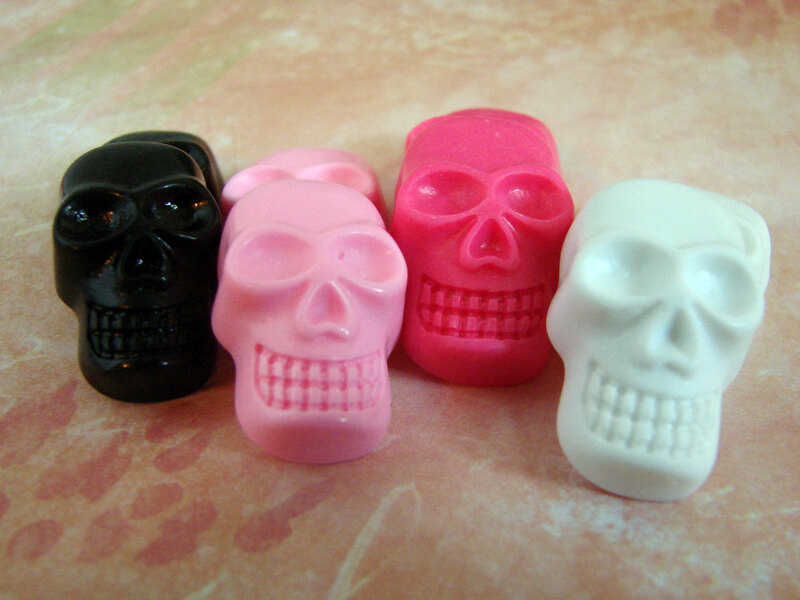 I’ve written before about how I’ve embraced my inner ghoul and learned to love skulls. And now I have two new charms to play with. 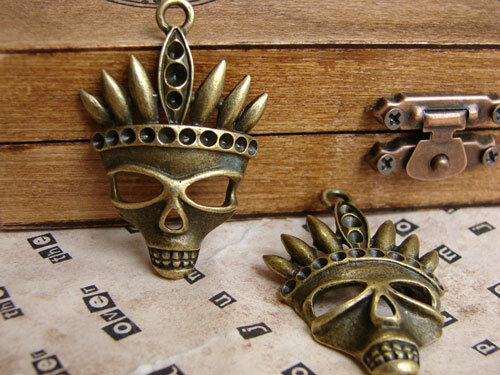 These are more in line with my favorite color palette: a bronze, weathered, worn brass color. 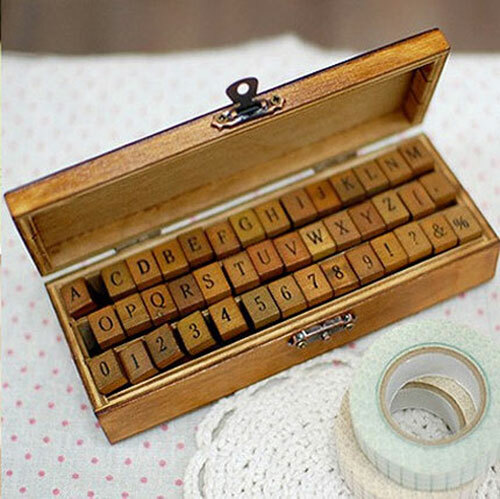 I can imagine using these in all sorts of fun projects. I think they have much more potential than as merely jewelry charms. I’d love to use them in a shadow box or as part of a paper clay sculpture – ideas abound! 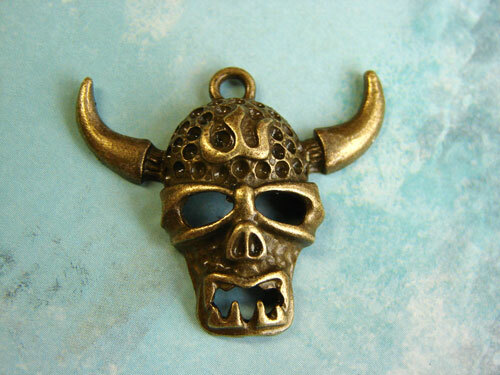 The best webpage I’ve seen on this subject is at http://obsessedwithskulls.com/skull-symbolism.htm. So come on, take a page from my book and embrace your inner dead! If you’d like to purchase these, they can be found in the CHARMS section of my store. 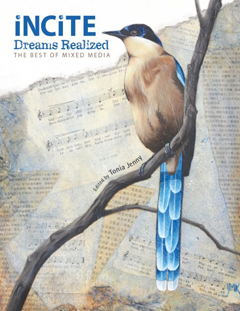 I am Karen Furst, a mixed media and assemblage artist. 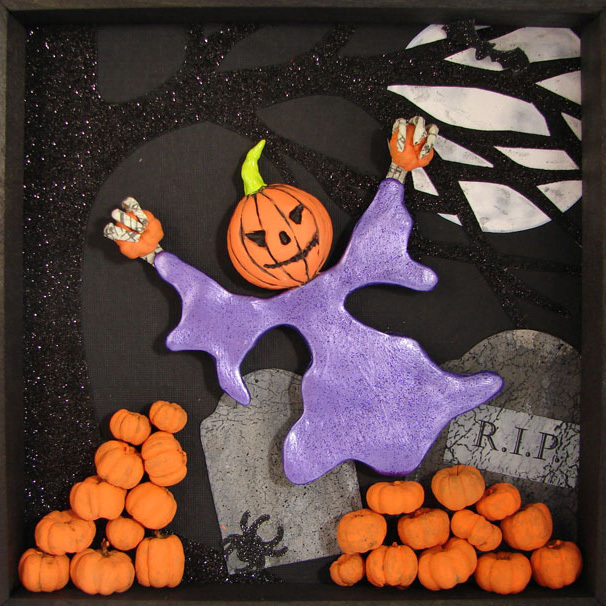 I make strange and slightly twisted designs in the form of note cards, mint tins, and magnets, along with creatures, monsters, robots, and aliens. Click here to start shopping. 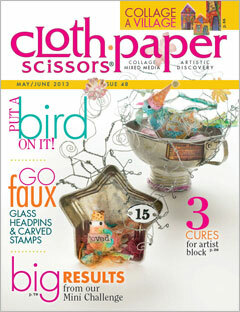 Or browse around the blog for tutorials, articles on artsy stuff, product news, and free downloads. Thanks for stopping by! Diggin' This Blog? Be The First To Get Updates! I'll send you an email when I add a new blog post. I won't share your email or blast your inbox with crap. Making Christmas Ornaments in January - Who Does That? 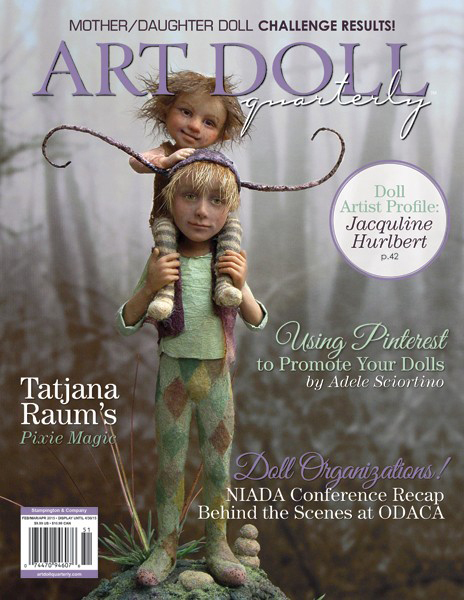 Art Doll Quarterly, Spring 2015. My Sorrowful Sister doll was chosen for the "Mothers and Daughters" challenge. Prims, Fall 2015. 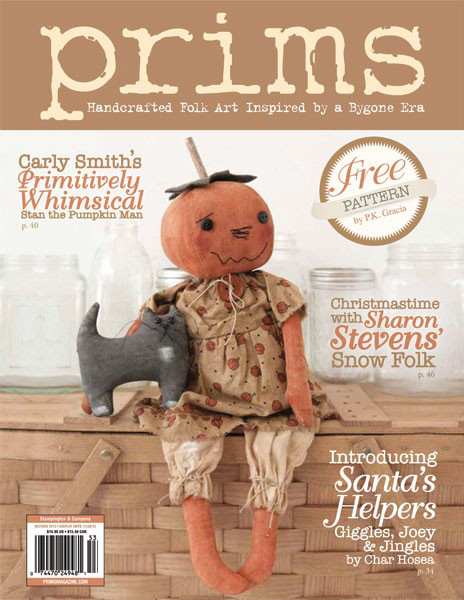 My Griselda Hippo Witch doll was chosen for publication. I just finished up some collage paintings. 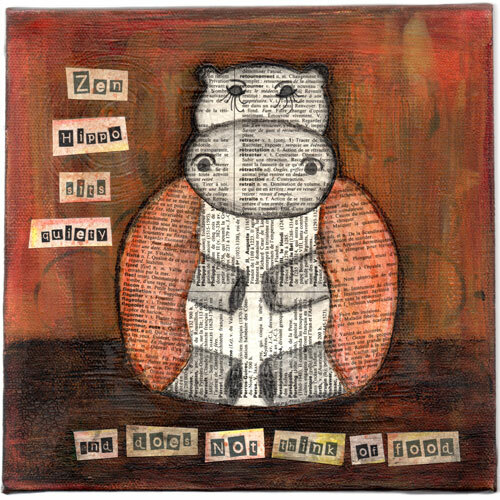 I make these with acrylic paint on a stretched canvas with old French dictionary paper cut outs for the hippo shapes. I color the dictionary pages with colored pencil, acrylic paint, charcoal pencils, or alcohol ink. 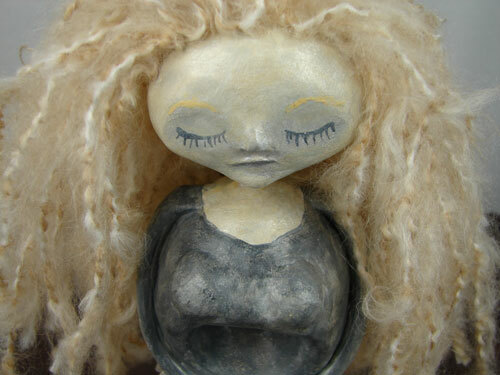 I've just completed my first art dolls and I'm unveiling them here first! 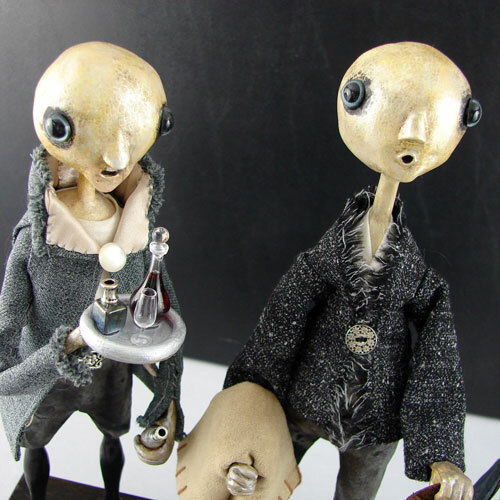 They are made from paperclay with styrofoam balls and wooden dowels as an armature. They have yarn hair and coffee filter skirts. I call them my Sorrowful Sisters. Trilby Works Powered by WordPress and theme by	gazpo.com.